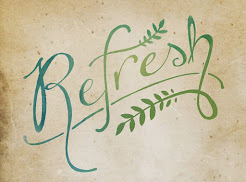 We have two weeks remaining to register for this year's Refresh Homeschool Mom Retreat. We have a wonderful venue this year that has made it more affordable than in the past, and special speakers lined up that will encourage and inspire. As always, there will be some treats included to pamper you! Check out our website and we hope you will join us this March! The third Refresh Homeschool Moms Retreat is coming soon! Contact Jennifer at refreshhomeschoolretreat@gmail.com with any questions.